This statement might seem as though we are going out on a limb, and it might not make sense to you at first. However, the outcome of a successful web analytics campaign is not just to create a better website for your business. Instead, it is to create a more functional company. We’ve spent plenty of time in the last few posts discussing the execution aspects of analytics. Let’s pause in this discussion to focus on something that is equally important. Web analytics is valuable in the fact that it does identify a slew of issues regarding usability, marketing, technology, etc. Using the info that the right web analytics tools provide you with can improve the volume of visits that are attracted to your site, exposure to new potential clients, an increase in conversion rates, increased profits, and much, much more. However, all of these wonderful aspects of are eclipsed by the improvements in operational efficiency that web analytics can provide your business with. Think about how using web analytics can impact your business. As an analyst and marketer, then you can figure out how you can really up the ante. It is not absolutely uncommon to hear of an update, change, repair, or small feature release to take several weeks, or even months, to take place. Let’s say that making these changes increases your conversion rate by .1%. The day that the issues are finally resolved, you are making 5% more per visit. This translates to a huge leap in numbers. However, the real tragedy is that you did not have this 5% increase over the course of the weeks or months that it took you to implement the changes. Depending upon the size of your business, this could have potentially cost you thousands, hundreds of thousands, or millions of dollars. The primary issue with operational problems is that is that these problems limit almost everything. In most instances, they are entirely preventable or can be improved considerably. These problems are not just depriving your company of that aforementioned 5%, they are also limiting your business’s ability to launch effectively launch into your next project. With an increase in backlogged work, you are going to need to hire more personnel to meet the demand. This is going to translate into more overhead, more processes, and increased complexity. The first step in correcting the issue is going to be admit that there is a problem. Don’t worry. This isn’t a 12 step program. You do not have to place blame on anyone in particular, but your business as a whole needs to understand that it can be better. The second step is to begin to create overlap. A website that is built on an assembly line is going to experience issues when it comes to specialization. The members of your business are going to have to learn to trust one another, so that small issues can be fixed efficiently without having to bring the whole village together for a powwow. To build this level of trust, your employees are going to need to gain a new skill set. To use an example, there an infinite number of .NET developers that can make a website look pretty. A professional usability designer is going to be able to write more than adequate PHP. If one of your employees is too overspecialized in one field, it can actually work against the greater good of your business. If you find that your business is full of these individuals, then it may be time for you to rethink your business strategy. Act as small as is possible for your business. Split your employees up into groups. Take a few days and brainstorm with one another. Have your IT man draw a picture. Educate the design guy about computing code. This may be difficult if your business is large, but the results will be well worth the effort. Think back to your days in high school and college. The student that always produced the best work in class was the one who finished the homework days before it was due and had time to consider its implications. Those who had the lowest grades were usually the ones that stayed up all night before the exam cramming for it. Even the good student’s work would have stunk if she had stayed up all night beforehand trying to rush it. Allot your brainstorming ideas plenty of consideration before you make any final decisions. 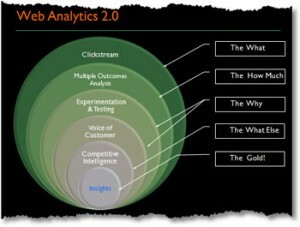 Use web analytics to your advantage. It is an invaluable tool in making your site a conversion machine, but pay close attention to how long it takes for you to get there. If you are the first of your competitors to get it done, this accomplishment is going to enable you to literally mop the floors with everyone else.